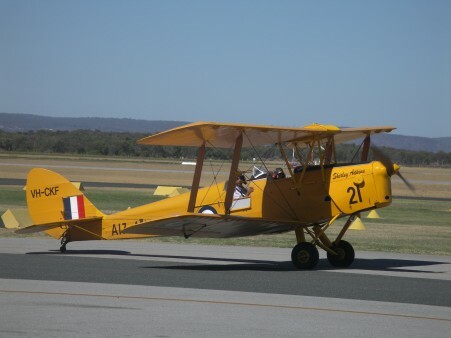 Tiger Moth Flight Here is a snippet of what I saw whilst in the blue skies over Perth. I’ve only been in a small 4 seater plane before when a friend of mine and I did a flight with our Aeronautics teacher at school. But this was totally different having the open air around me. I tried to imagine what it must have been like flying one of these during the war and trying to shoot down other planes. It really was an amazing experiance and I loved the loops, sky-ocean-sky-ocean. My legs took a while to stop vibrating from the old plane. There wasnt much between me and the air except a thin slice of metal. Scary thought lol.